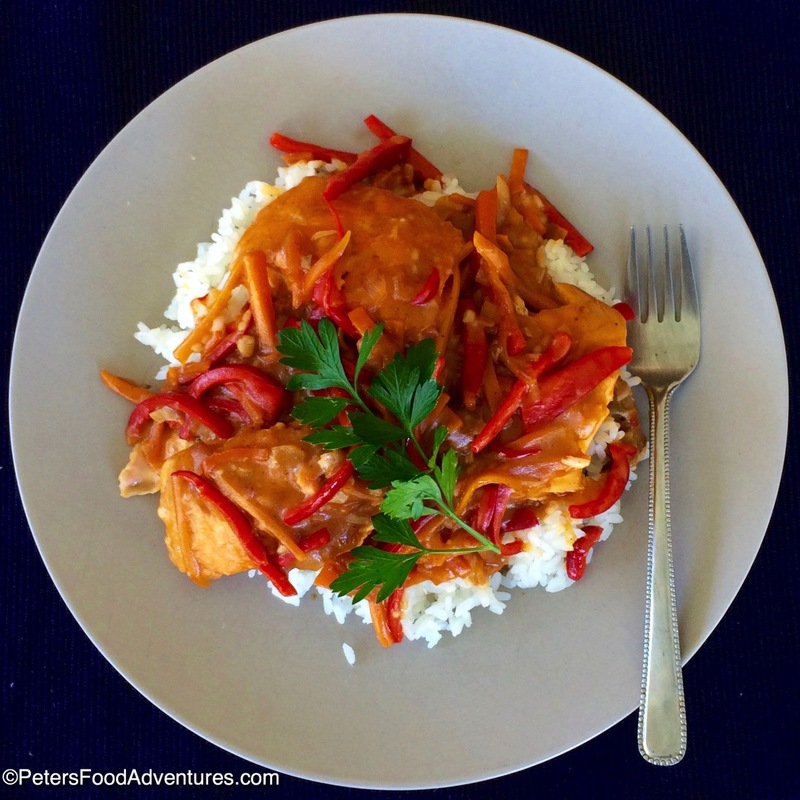 Salmon and Rice Podliva (подлива) is a tasty dinner recipe made with boneless fillets of salmon, carrots and red peppers, served over rice. 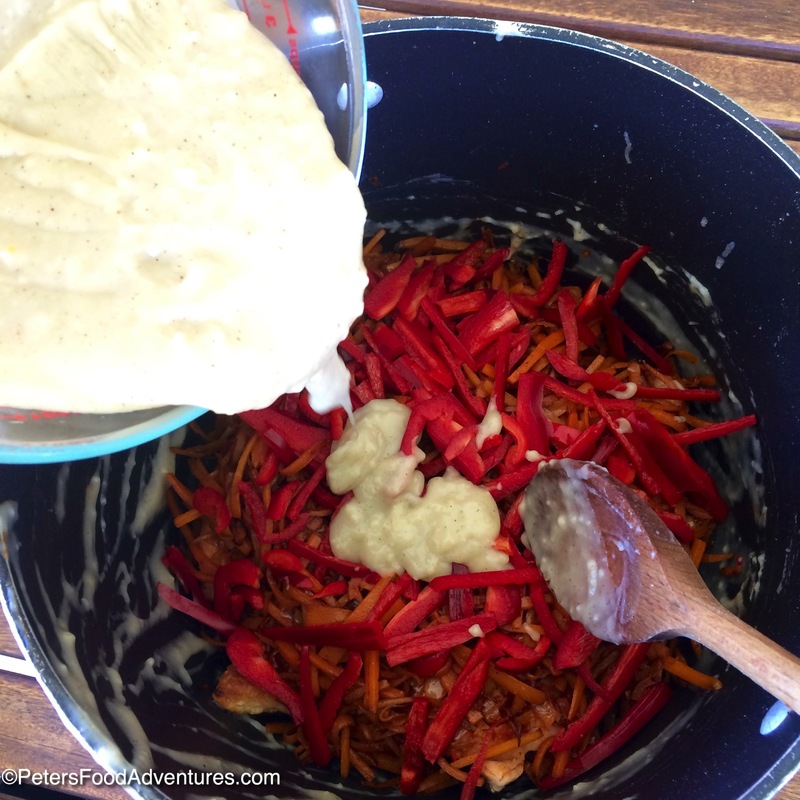 The podlike is a type of Russian sauce/gravy that the fish and veggies are cooked with. Instead of rice you could use mashed potatoes, rice, buckwheat or even pasta can be used. I suppose it comes down to personal preference. Oh, and it’s commonly made with a meat, such as beef, pork or chicken. So making a Salmon and Rice Podliva, sometimes called Podlivka, is not the most common way to eat it, never the less, still delicious. We grew up eating Salmon and Rice Podliva that mum would make, but there was always bones in the Salmon, as she would usually buy a whole Salmon and cut it up into pieces. Being a busy mum with 4 kids, she didn’t have the time to de-bone an entire Salmon. Oh how I hated eating this dish because of the bones in the fish, and it took me a long time to eat all fish due to the bones. I tried to avoid the Salmon and tried to only eat the carrots and Podliva sauce. 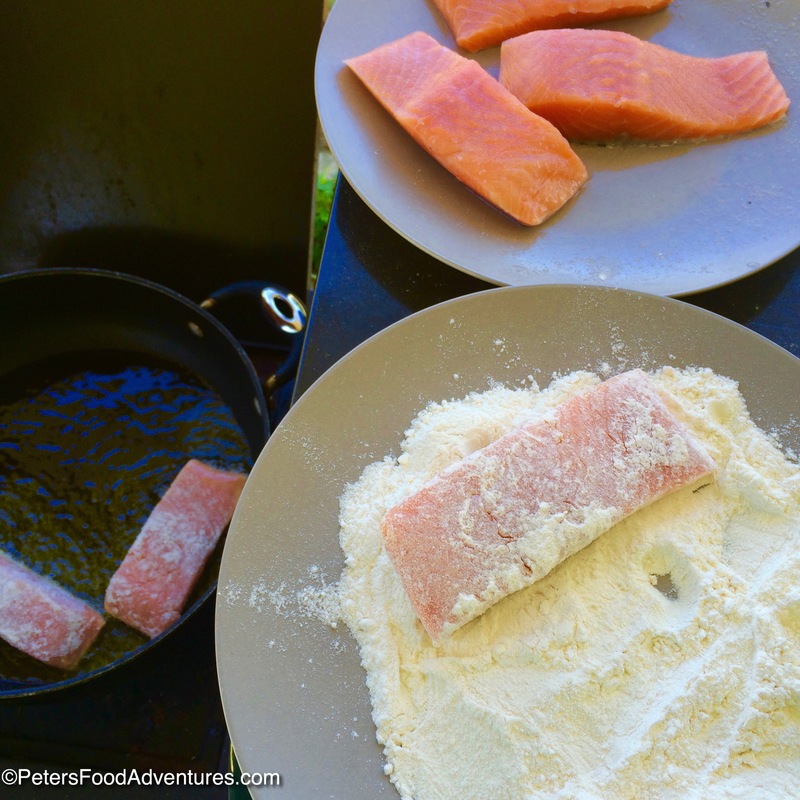 Thankfully I have discovered boneless Salmon fillets, with all the work already done for me! 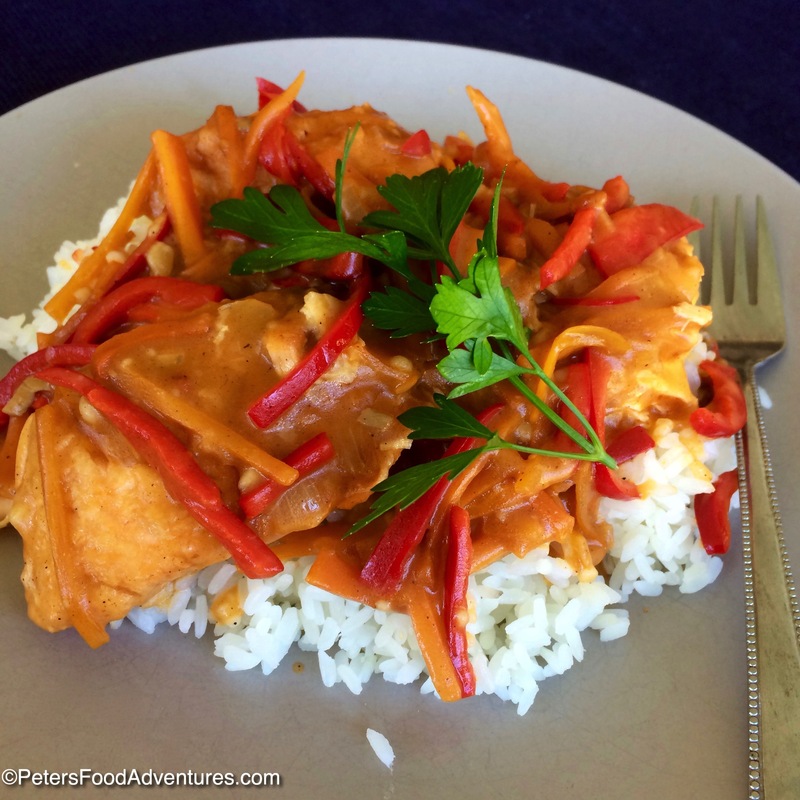 Now I love Salmon and Rice Podliva, I just need to convince my kids to love fish somehow! But that’s another battle! 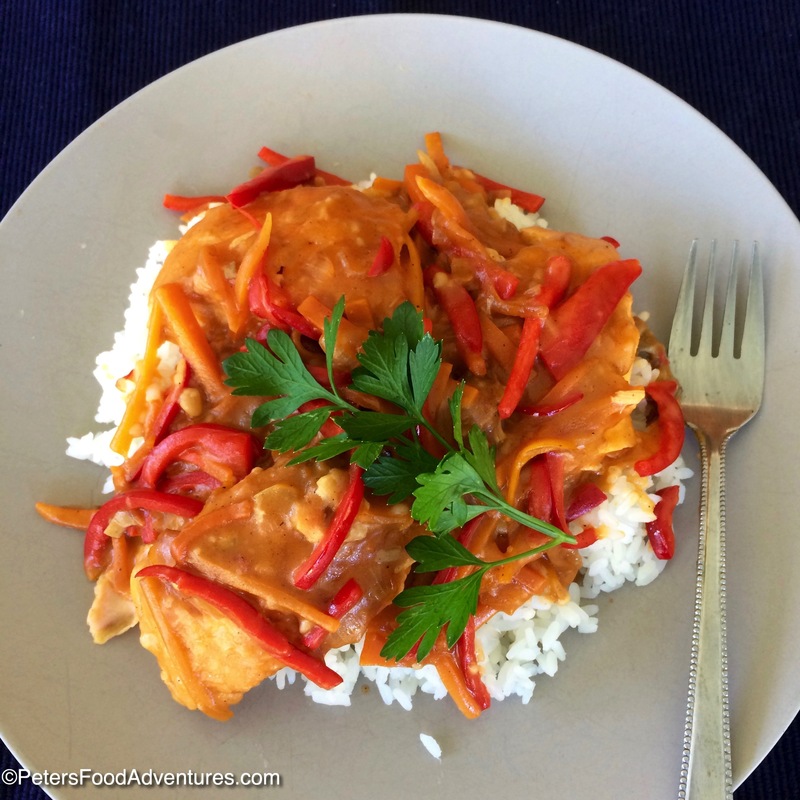 We always ate this dish with rice, I always thought it was kind of a stir fry because of the rice and carrots. Now that I understand how it’s made, its a Podliva (подлива), or sauce thickened with flour, similar to gravy but served with vegetables. Ok, so some things don’t translate across cultural lines. Salmon and Rice Podliva is a different take on a classic type of Russian meal, not hard to make, and worth discovering. Bon Appetit! Приятного аппетита! 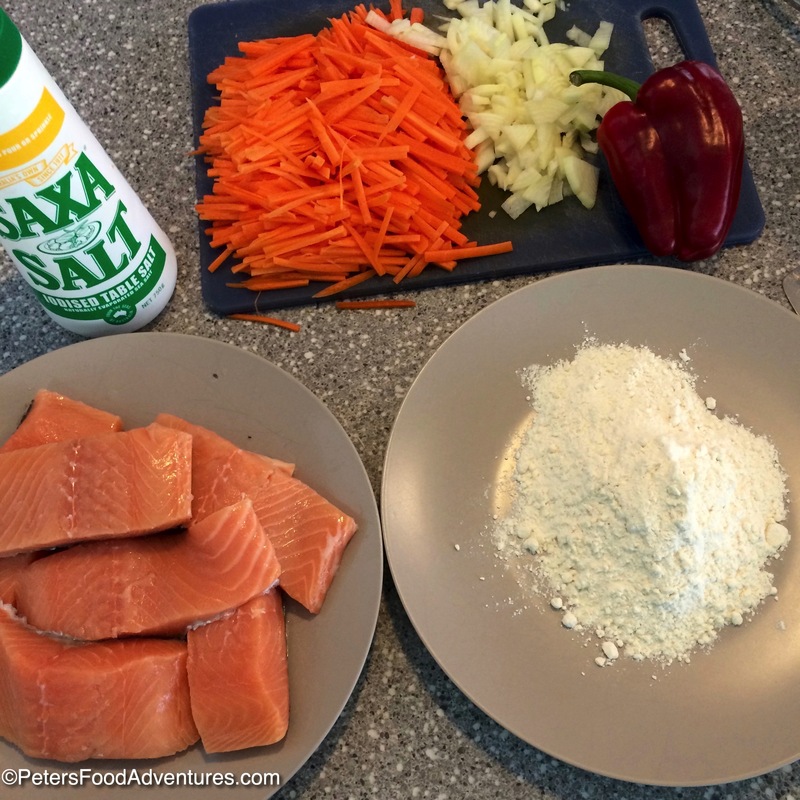 Salt the salmon, place some flour on a plate and lightly coat the salmon completely into the flour. 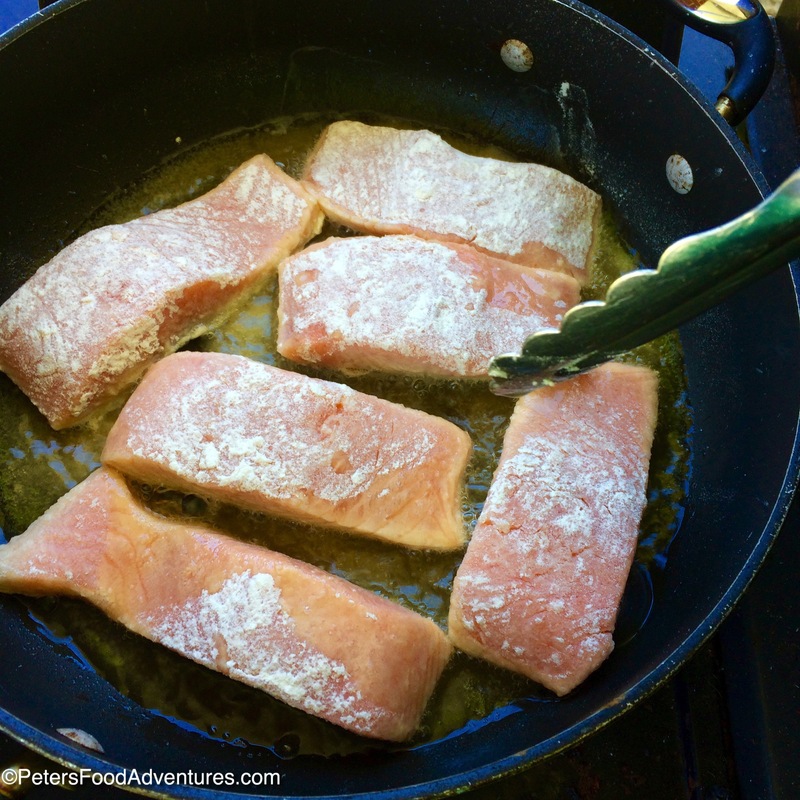 Heat on high about 1 cup of oil in a frying and fry salmon in the oil. Set aside fried salmon. Fry the onions in 1 tablespoon of oil on high. When the onions are browning, add 1 tablespoon of tomato paste, stir together and set aside. Heat 2 tablespoons of oil in a frying pan, add the carrots and fry until cooked for about 10 minutes. Add the Vegeta to the water and mix together to make a stock. Heat 2 tablespoons of oil in a frying pan and add 1/4 cup of flour and mix until cooked. 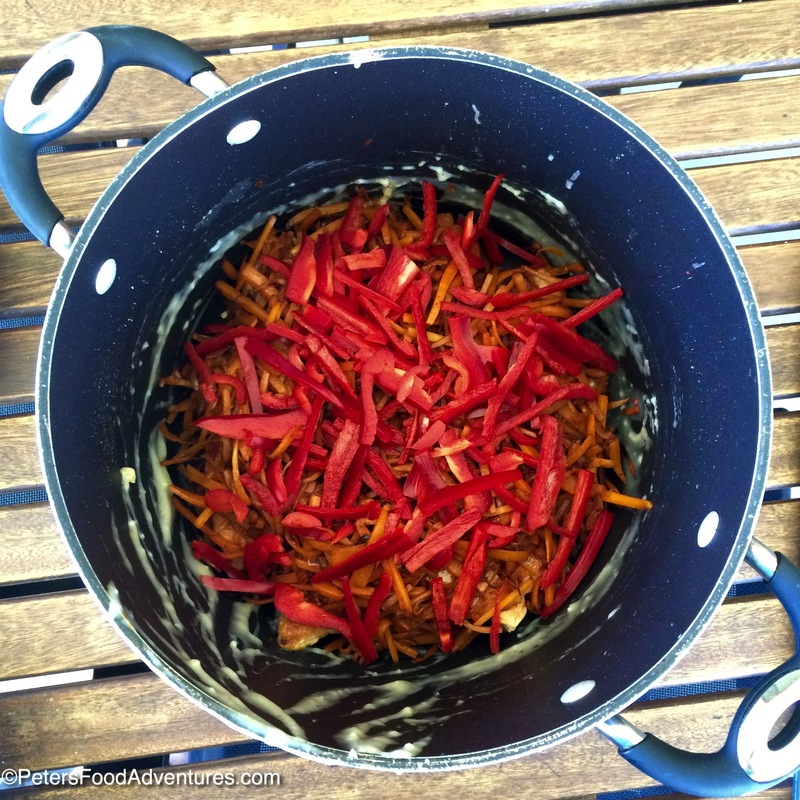 You are making a roux here, mix together while cooking then add 1 cup of stock and stir. Keep cooking and stirring until the roux starts to thicken. If it is too thick, add more stock until it has the consistency of a gravy, not too thick! Allow the thickened sauce to cook for a about 5 minutes and taste. Important to cook the thickened sauce, otherwise it will taste raw and floury. Add salt and pepper, taste and set aside. In stockpot, put the salmon, side by side so they snugly fit together. Layer with cooked onions evenly over the salmon. Add the carrots evenly over the onions. Add the uncooked red bell pepper on over the carrots. Pour the thickened sauce over the top of it all and let it simmer for 10 to 15 minutes. Careful so the bottom doesn't burn, keep it on low heat, and don't stir together, otherwise the salmon will break into pieces. Serve over rice. looks lovely and I am sure is delicious!